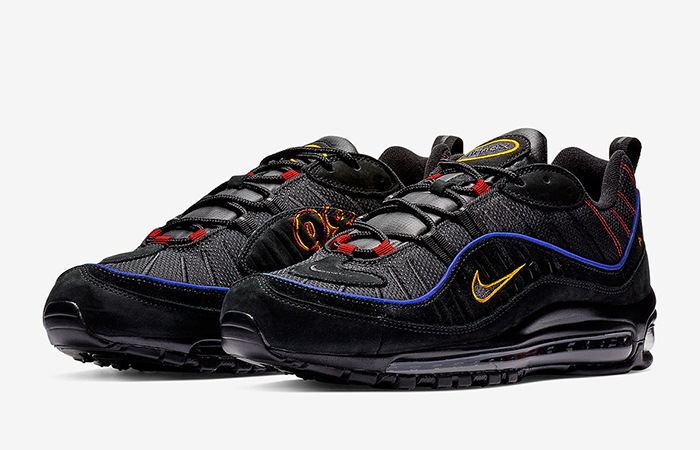 With the Air Max 98 CNY under the belt, there’ll be another Nike stunner on the loose! 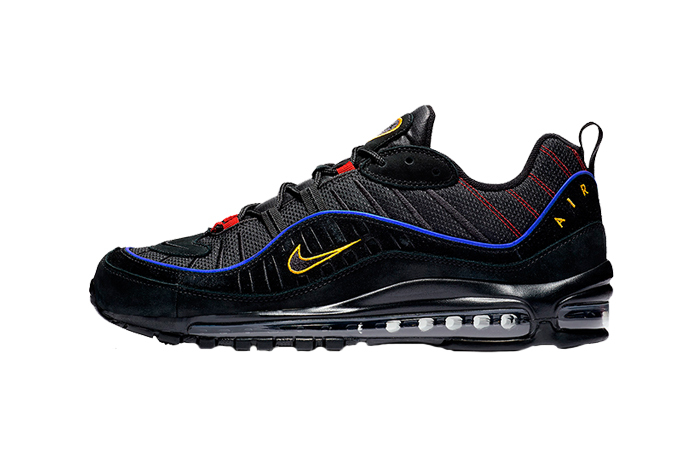 Nike Air Max 98 Black Blue is going to hit the ground by the end of January. It’s only January of the new year, and we are already seeing waves of mindblowing kicks. The rest of the year must be more amazing. Morning really shows the day indeed! 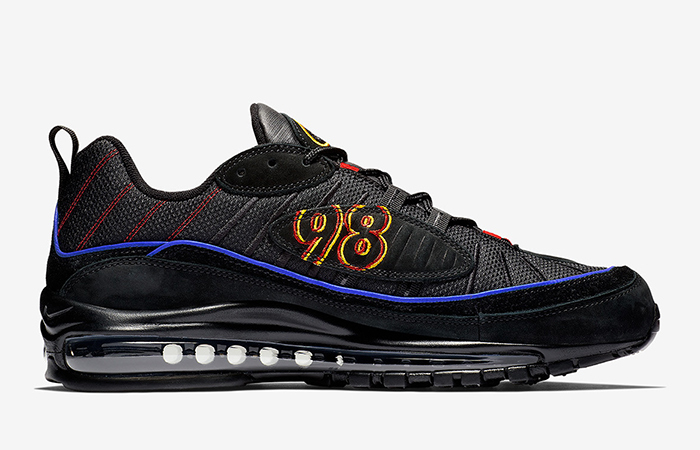 We know the AM 98’s chunky vibes more suited for the Gundam style. But the themes takes a new turn for this iteration and many more. The design is still deadly with the round and strong look. But the design and the traits must get increased ascents. Follow @FastSoleUK for more. It’s delightful to see the bright red panels with crisp dark fusion only. There’s a splash of the blue like the Gundam! 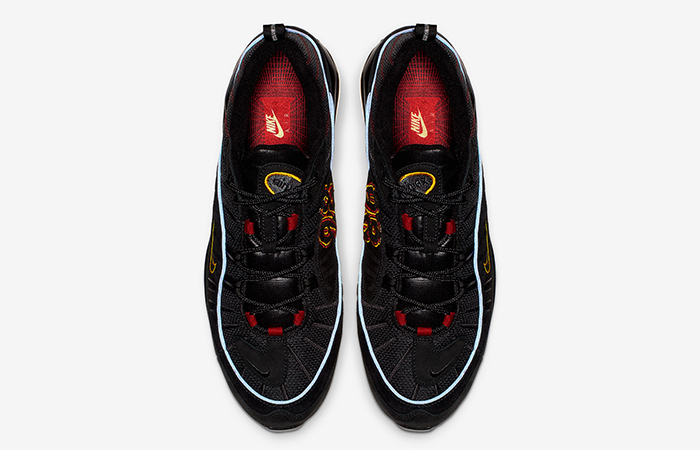 Black mesh upper assures breathability and versatility for all your runs while the tonal leather insets on the sidewall and mudguard keep you safe. 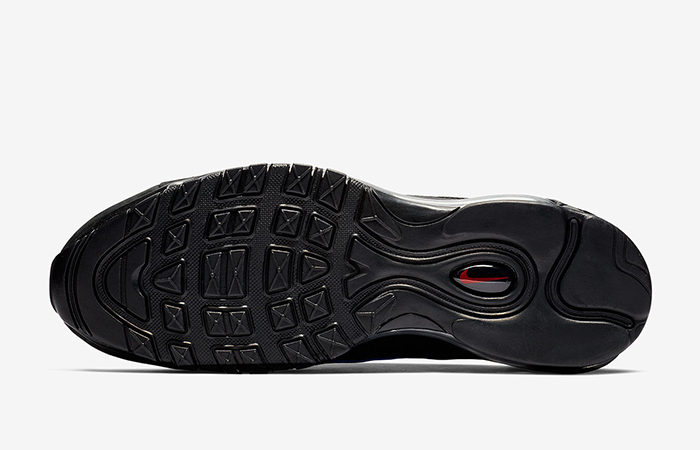 Branding on the forefoot, dark outsole and pull-tag resonate with the idea. A classic Air-Sole finishes the look. 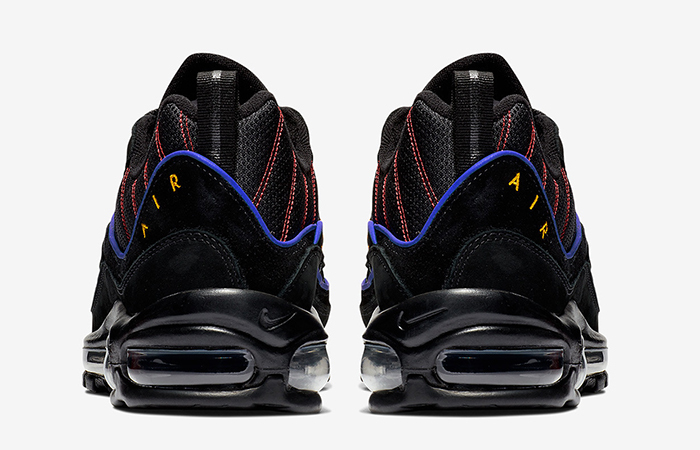 Nike Air Max 98 Black Blue releases January 24th via listed UK and European retailers.